CANCER campaigner Deborah De Williams is this year's Australia Day Ambassador for the Derwent Valley. Born in Western Australia in 1969, Ms De Williams was the first woman to walk around Australia. She will give an address at Tuesday's Australia Day observance at the Derwent Esplanade in New Norfolk. 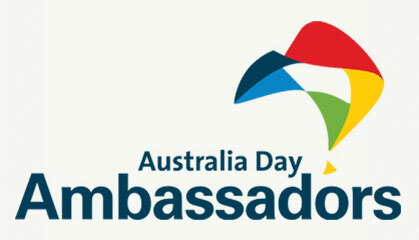 The Australia Day Ambassador Program provides a unique opportunity to meet inspirational Australian achievers. On Australia Day, ambassadors travel to communities across the country to spread the message of national pride at various celebrations. From October 2003 to October 2004, Ms De Williams walked 16,925km in 365 days and raised funds for the Kids Help Line along the way. When diagnosed with breast cancer in March 2006, she decided her way to fight cancer was to start planning to be the first woman to run around Australia to raise money for breast cancer research. Running around Australia remained a focus for Ms De Williams during cancer treatment. She established the charity, Running Pink, and trained daily, adopting the motto "change the world, one step at a time". When Ms De Williams was ready to run around Australia, disaster struck when she tripped over her dog, Maggie, and broke both her feet. Doctors said she would never run again, but after surgery and recovery, Ms De Williams defied the odds and became the first woman to run around Australia, completing the 18,026km run in 406 days, in May 2011, and raising over $200 000 for breast cancer research. The Running Pink charity is helping women to get back into life after cancer through exercise and running programs. In April 2012, Ms De Williams and Running Pink took a team of breast cancer survivors to England to run in the London Marathon. Australia Day Ambassadors participate in local activities, assist with the presentation of local awards and deliver a short speech on what being Australian means to them. Across the country, more than 400 communities will host an ambassador on Australia Day. Ambassadors are recruited from diverse fields such as the arts, sport, science, business, government and entertainment. They can be of any age, but they all share the common traits of achievement through hard work, talent, and a strong sense of patriotism. All act in an honorary capacity, giving freely of their time to help celebrate our National Day.